Now that the wedding is getting closer, I’ve realized that it’s the little things like, the pen for your receiving table, the guest book, the cake knife, etc, etc, which really require attention to detail. Enter: Etsy. The global online village of handicrafts- I’m loving these days. The mirror I found for the arsi Mashaf ceremony? From Etsy. My wedding guest book? Etsy, arriving via Greece. And my latest find? 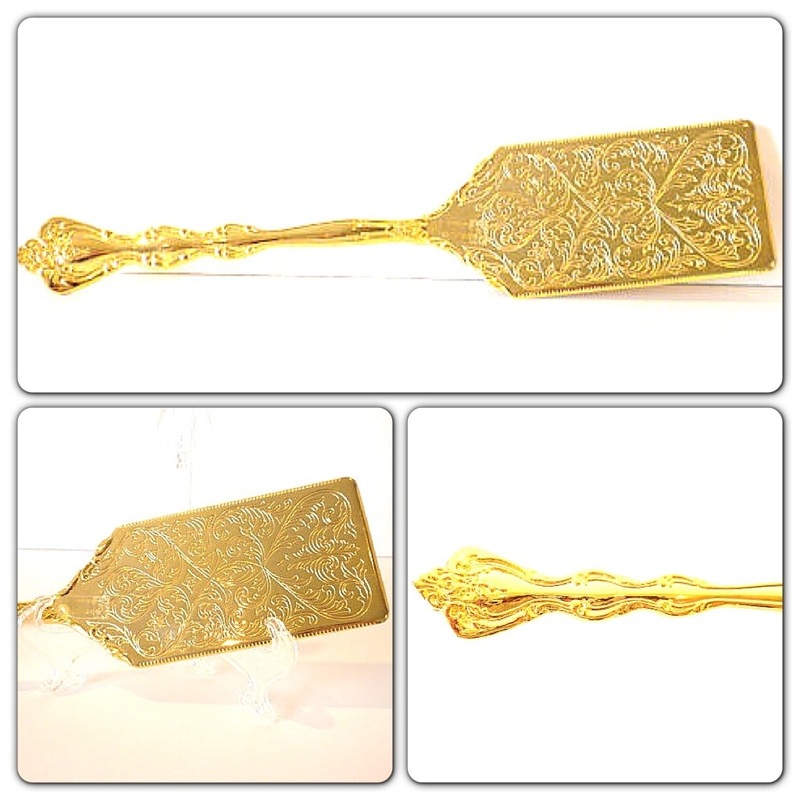 A gold vintage cake sever, check it out below! Hey Safa! I love your detail, I am similar. Do you have a full list of accents you purchased for your wedding? I feel these can be relatively inexpensive but are worth it for pictures. Thanks! Hi Sabina, thank you so much! Off the top of my head I know that I purchased a guest book, a cake knife, and a pen to sign the contract with! If I think about this more, I’ll do a post on it, thanks!